Mitchell Butel returns to Hayes Theatre Co to direct the Olivier Award-winning musical by Tony Kushner (Angels In America) and Jeanine Tesori (Fun Home, Violet) starring Zahra Newman (The Book of Mormon). 1963, Louisiana. The president is dead and America is on the verge of one of the greatest social movements of the 20th Century. The Gellman’s maid, single mother of four, Caroline, shares a special bond with eight-year old Noah, who is heartbroken after the death of his mother and his father’s remarriage. Sneaking down to the basement laundry to spend time with Caroline and a range of fantastical, anthropomorphic characters, Noah will find his relationship with Caroline tested by an attempt to put more money into Caroline’s pocket, devised by his stepmother, Rose. 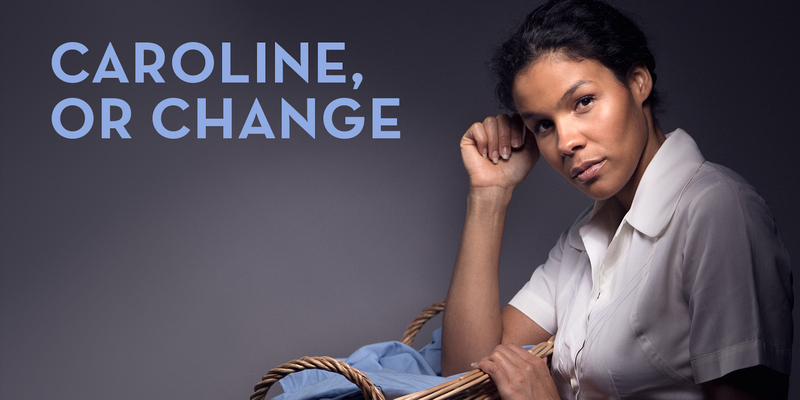 Loosely based on Kushner’s own memories of growing up in Louisiana, Caroline or Change features a stunning score by Jeanine Tesori, combining spirituals, blues, Motown, classical, and Jewish klezmer and folk music. Caroline or Change is generously supported by Frederic Marguerre and Rodrigo Martino, principal sponsors of the Artist-Led Initiative. Caroline or Change is part of the 2011 Postcode offer. Residents of 2011 can obtain half price tickets 30 minutes prior to performances Mon-Thurs with proof of address. Subject to availability.